Access Health Care Physicians, LLC offers an education series about diabetes mellitus to be held at Access Health Care, 5382 Spring Hill Drive, Spring Hill, at 1 pm. The series is directed to anyone who has been diagnosed with diabetes mellitus (DM) and family. Ms. Runyan holds both New York and Florida licensure as a registered nurse and nurse practitioner. She practiced as a critical care nurse for 15 years prior to returning to school for her advanced practice (NP) degree and certification in 1995. She is board certified by the American Academy of Nurse Practitioners. 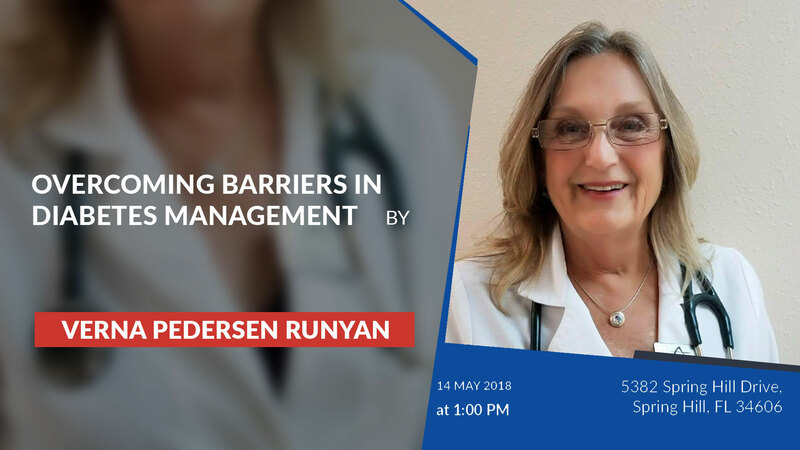 Ms. Runyan has been providing primary care with an emphasis on diabetes, hypertension, obesity and cardiovascular disease for the past 18 years. She has been associated with Access Health Care for six years.